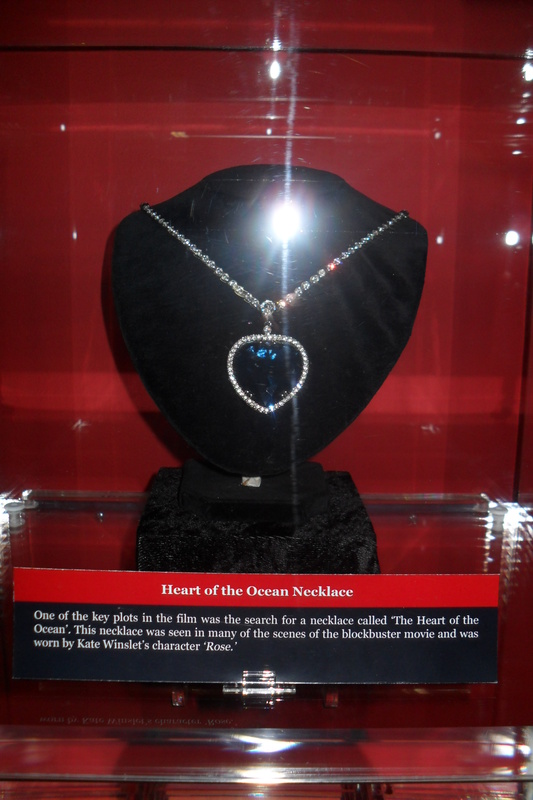 Last weekend, I decided that preserving would pay off and we headed back to Chatham dockyard where I finally got to try on the heart of the ocean necklace, as worn by Kate Winslet. I struck the same pose as she did in the film for my photo; the only difference being that I was fully clothed. If the photographer had been Leonardo DiCaprio though, it would have been a very different story!! 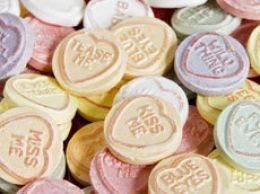 What with the necklace and then when I was eating a packet of love hearts; which you may be interested to know were invented as long back as 1933; I got thinking about the use of the heart symbol as well as the different meanings of the word. The heart can mean the physical organ, it can represent a person’s soul, is used to mean the core of something, as in the heart of the ocean and to mean love. 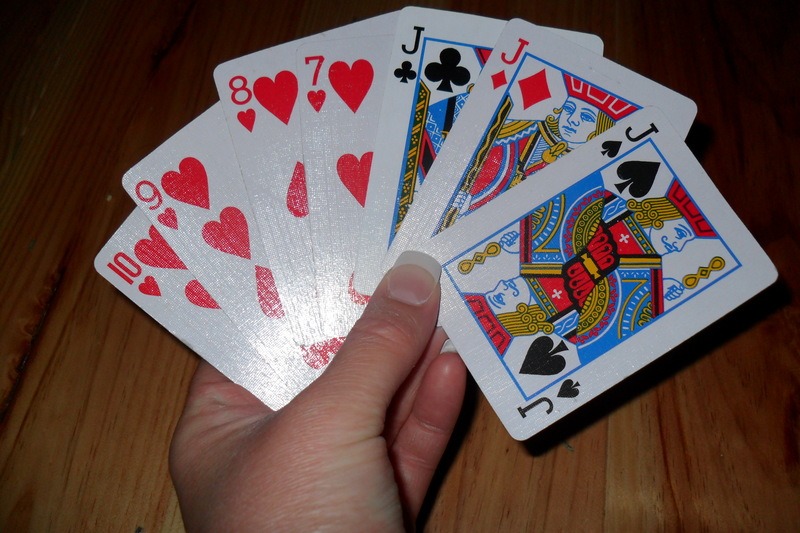 The heart symbol was used on Valentine’s Day cards as long ago as 1910. Its resemblance to the human heart is vague and it has been said to have derived from the female buttocks. The heart symbol is now included in the latest addition of the Oxford English Dictionary after the increased use of the symbol to replace the word love, for example I ♥ New York. I also started to think of the different types of love in my life; romantic love, family love, parental love and love of friends as well as love in terms of passion for things. Family love was in high amounts on the Sunday when my boyfriend and I took his niece and nephew for a day out at Diggerland. They were an absolute pleasure to take out and it was lovely to see the joy on their faces. It certainly increased my maternal urges even more; not that they need much assistance. I did however somehow manage to put his niece’s nappy on back to front and when the two of us tried to collapse the buggy, it was like the Krypton Factor but hey you live and learn! During the week, my boyfriend surprised me with some romantic love and created a ‘date night.’ This is a wonderful way to keep the romance alive. He created a menu which he printed and placed on a laid table and then cooked and served. The food was delicious. As the old saying goes, love makes the world go round so whatever love you have in your heart, embrace it, tell your love ones that you love them everyday and as my Grandma used to say, never go to sleep on an argument. I know for most people history was probably one of their worst subjects at school but it can actually be quite interesting; you just need to find an area that fascinates you. 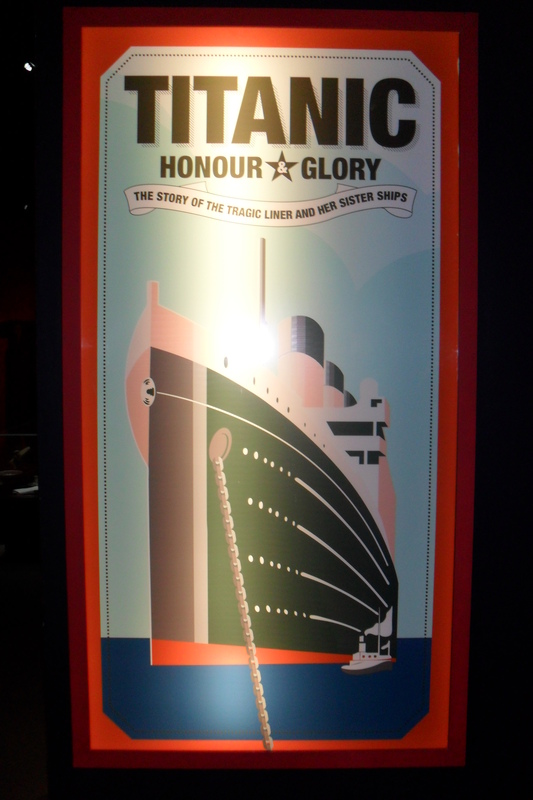 Having a long weekend to enjoy after the wedding, we decided to check out the Titanic exhibition at Chatham Dockyard. 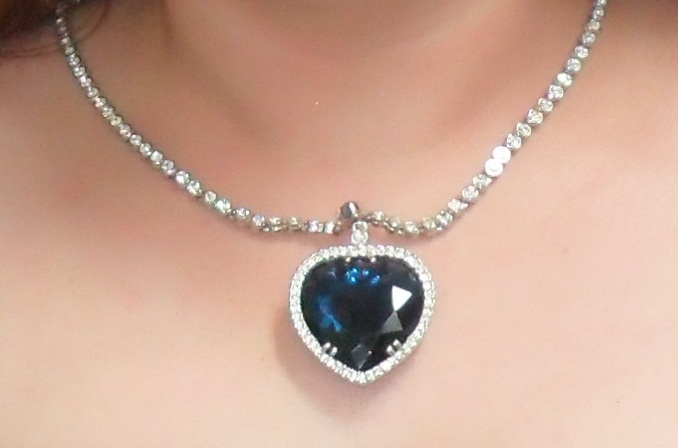 I must admit it wasn’t quite what I expected and I was disappointed that I couldn’t try on the heart of the ocean necklace; but I did enjoy it and it awakened my interest in history, as well as reminding me of when the film was released in 1997 when I was a teenager in love with Leonardo DiCaprio. I remember wanting to watch all his films and Mum only allowing me to see ‘Basketball Diaries’ if she watched it with me as I was too young for its 18 rating. At the time I think my walls were covered with Leonardo and Backstreet Boys! I would dream that I met them and they fell in love with me. My boyfriend and I recreated the famous scene from the film on the railings. That evening we decided to watch the film and I cried yet again! It doesn’t seem to matter how many times I watch it, I still ball my eyes out. I think one of the most moving things about the Titanic disaster was the arrogance of human nature. They really believed that the ship was unsinkable so saw no need to ‘clutter’ up the deck with life boats. It is also sad to see how class determined whether you were to be saved; 34% o f first class men were saved whilst only 30% of third class children. Sunday evening, after enjoying a roast dinner, I tried to get my boyfriend to sit through the film Coco before Chanel. He was having none of it though so I compromised with The Cashmere Mafia. We were barely 5 minutes into it when the television and DVD player turned off. Turns out there was a fire in a junction box in the road and so we had to endure a power cut for the rest of the evening. If I didn’t know better, I would think my boyfriend had arranged it to get out of the girly films. I was just annoyed to already be in my pyjamas when there were fit fireman just a few doors down! 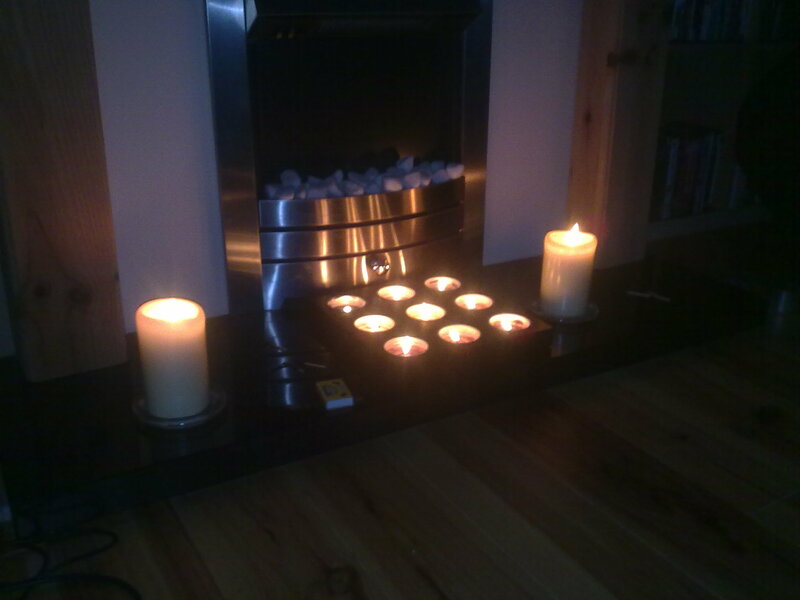 We lit some candles and amused ourselves with cards as well as polishing off quite a proportion of a wine box. It wasn’t like we could make a hot drink, so of course we had no choice but to stay on the wine! I paid for it the next morning though and even woke up talking French, much to my boyfriend’s confusion! It got me thinking about what life would have been like for the first occupant of our house in 1898 without all our modern amusements. The next day I got researching and found the name of the first owner and his occupation. This led me on to think about Victorian and Edwardian fashion. This autumn Victorian is one of the many trends making a comeback, along with cord, 40’s and 70’s. I love the lace of the Victoriana clothes, so girly and pretty. I found an interesting website for anyone interested in learning more about fashion especially of shoes at the time of the Titanic sinking. 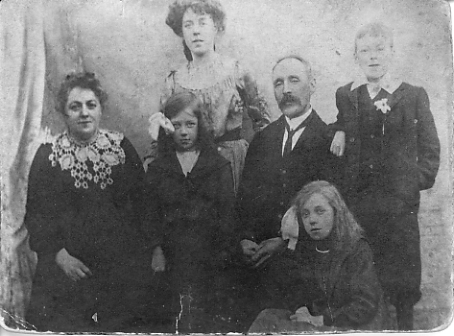 In my parents collection I discovered this old picture of my Dad’s side of the family which would have been taken around 1914. It’s interesting to see the fashion of the day. Let’s have fun and experiment with fashion this coming season! So many eras to choose from for inspiration; where to start? Getting back to the sinking of Titanic which will be 100 years ago next April; there was such a sense of excitement at the time it set sail, a feeling of hope and dreams of endless possibilities. This can be likened to how most of us feel as we grow up. As teenagers we believe we are indestructible and can do anything we want to do but as we get older we realise this is not always the case. At the wedding one of our friends pointed out that we left school 10 years ago. What a scary thought! When we left we created a yearbook and put in it our dreams for the future. We probably felt full of optimism, much like those Titanic passengers. Circumstances get in the way though and we often end up treading paths we didn’t imagine. This is sometimes for the better however. I went for a friends birthday drink with people from school, in a bar in Soho during the week called Barrio Central. I must be getting old as I don’t have the stamina I used to for drinking on a ‘school’ night! Was nice to catch up with friends I hadn’t seen for a while though, despite the ‘mouthwash’ cocktails on offer (a Mojito with an extra large helping of mint!) I was glad that the riots had calmed down; otherwise many of us wouldn’t have wanted to venture out in London. The riots were really quite scary and give us an insight of what life during the Blitz must have been like. The weekend just gone, my boyfriend and I met up with a friend and her other half. I got to continue my birthday as she gave me my present. We got on to talking about when we first met at school at about the age of 13. It’s funny looking back and reminiscing. Perhaps it’s something about approaching 30 that we are all starting to look back. 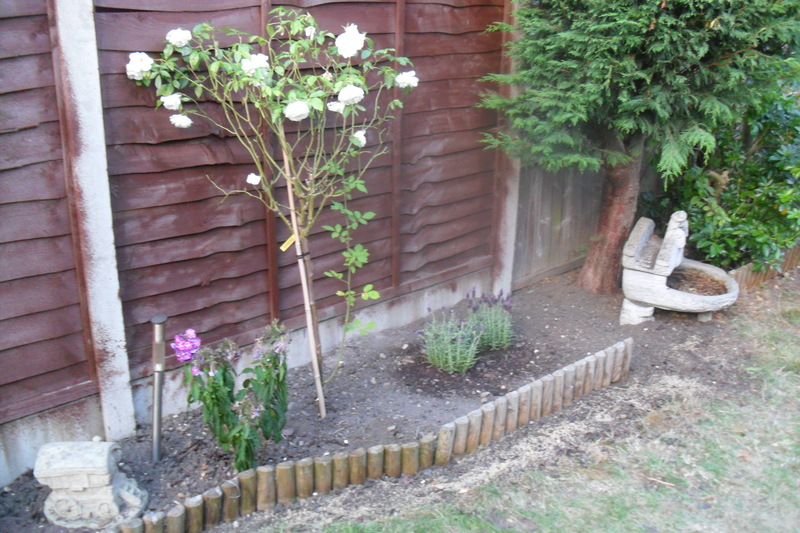 Sunday was spent working in the garden. It felt really satisfying to get it looking nice but I got very sunburnt. Strange that I find a sense of enjoyment from gardening now, if you had asked me 10 years ago, I didn’t have the slightest interest! How things change. The neighbour kindly gave us some plums from her tree so I made a crumble; how very domesticated! Both my boyfriend and I ached like crazy that evening though; a snapshot of 50 years time when we will be sharing our aches and pains! From bridal shower to baby shower, Sunday evening was spent making invites for my brother’s girlfriend’s belated baby shower. 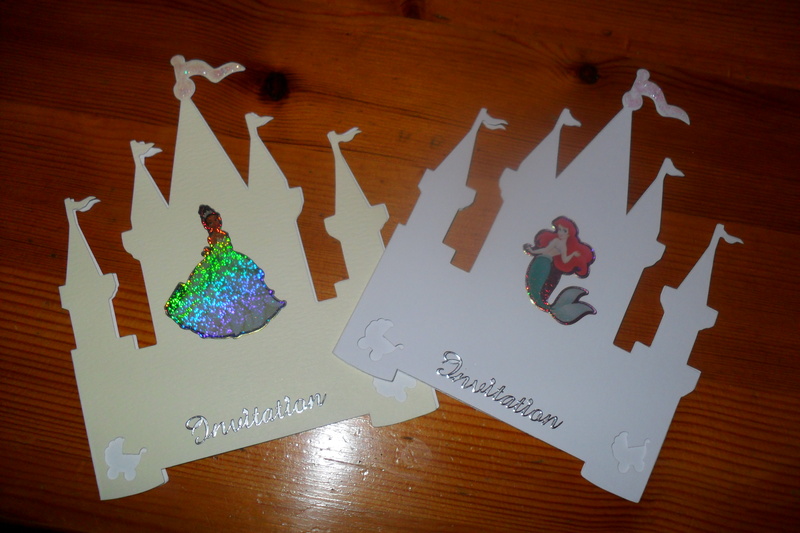 As I stuck down the Disney princesses, it struck me how we all dream of that happy ending. On the train the other day, I overheard a girl of 8 saying that she must keep her drawing safe as it was the plan for her wedding! The important thing I take from these last couple of weeks is that despite us all progressing through the book of life at different rates; some travelling, some married, some parents and some in between them all; us friends can all still find time to come together on the same page occasionally. That’s true friendship for you. We share a history and despite each entering new chapters, we share a common bond. Friends and family make the world go round and always will. The day of one of my best friends wedding is almost upon us. I took the day before off work and treated myself to a set of false nails. I used to get these done regularly as my nails have always been a bit brittle but this is the first time I have had it done in years. I was suitably pleased with the results and the price; £20 for a full set! 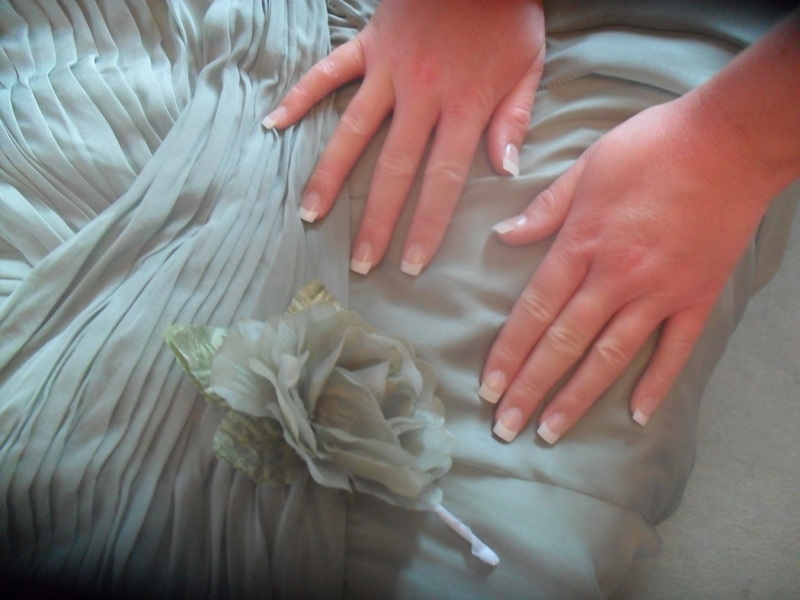 Apparently for some people this is still too much as whilst I was in the salon, a woman left without paying! People’s mentality never ceases to amaze me and on my walk home, I saw another example of it. One of my elderly neighbours had fallen and before I got to her, another girl just looked and kept on walking! I took the opportunity as I was at my parents to visit my favourite boutique, Torza and came out with a beautiful pink maxi dress with pearls around the neckline. I can justify it as it being bought with my birthday money, although I have a feeling that this birthday money is going to be on a bit of elastic! I also went into the shop called Vintage and found the perfect bag to go with my bridesmaids dress. It must have been quite a find as on the day even the blokes commented on it! Finally the big day was upon us. I was so excited but couldn’t believe that after all the beautiful weather we have had, it chose to rain on today of all days. Superstition has it that this is good luck. I had a read up as to the reasoning behind this and found various suggestions. 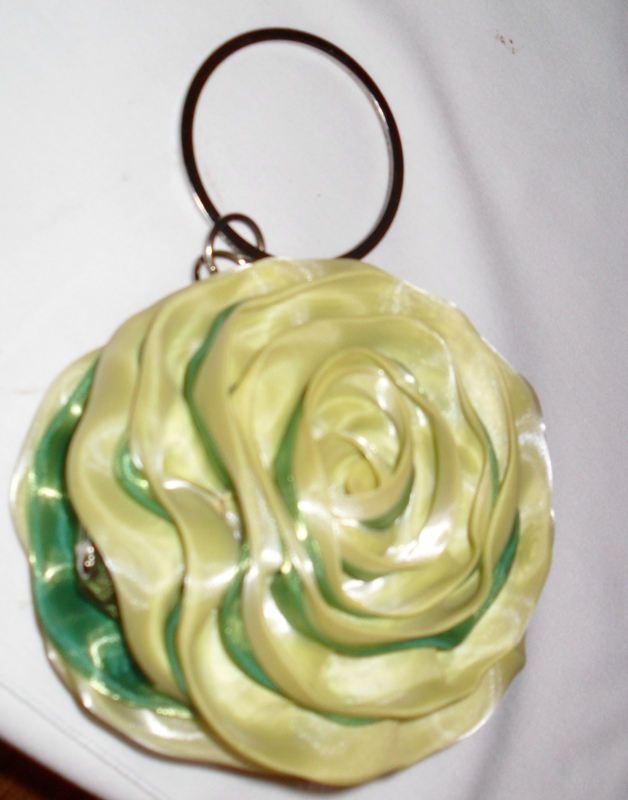 It is thought by Hindu’s that it represents a stronger unity, being that a wet knot is harder to undo. There is also a belief that it will be a healthy and fruitful marriage, due to rain being essential for good crops. The other bridesmaids and I met at the bride’s house early and the hairdresser started on our hair. 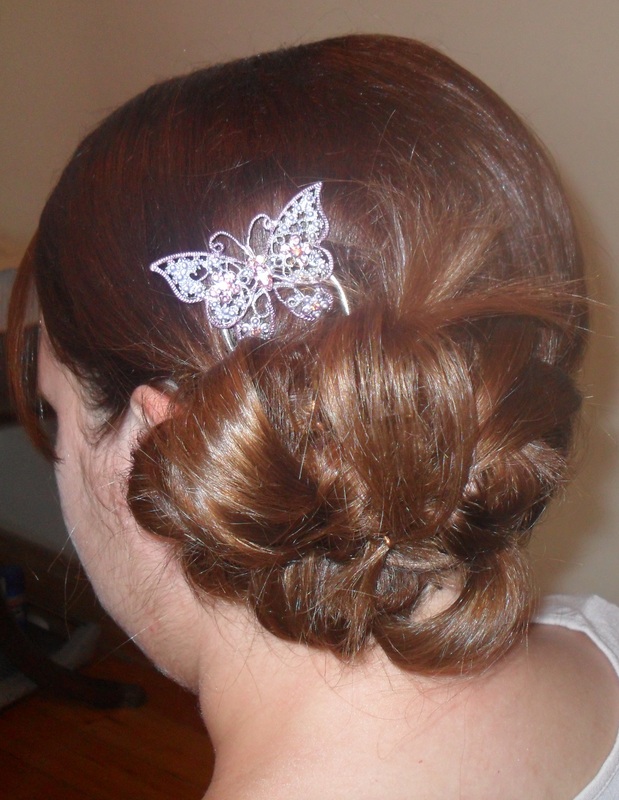 I was determined to get my signature butterfly into my outfit somewhere so chose a butterfly slide as a hair accessory. I love to have my hair done, don’t you? It’s so relaxing. The Cava was cracked open early and we had a lovely time getting ready. As we helped the bride into her dress, I thought how amazing she looked. It was a stunning dress with lots of lace. The bouquets arrived and then before we knew it, the time had come to head to the church. The service was lovely and the priest made it really; he was a little on the eccentric side to say the least. I got through my reading without tripping up on my way to the stage or stumbling on my words thankfully. As we left the church, we bridesmaids were on duty to ensure the bride’s dress remained clean and dry. On arrival at the reception, the sun finally came out and the bride relaxed at last. The father of the bride speech was so moving and it got me wondering what my Dad would say if I ever get my special day. 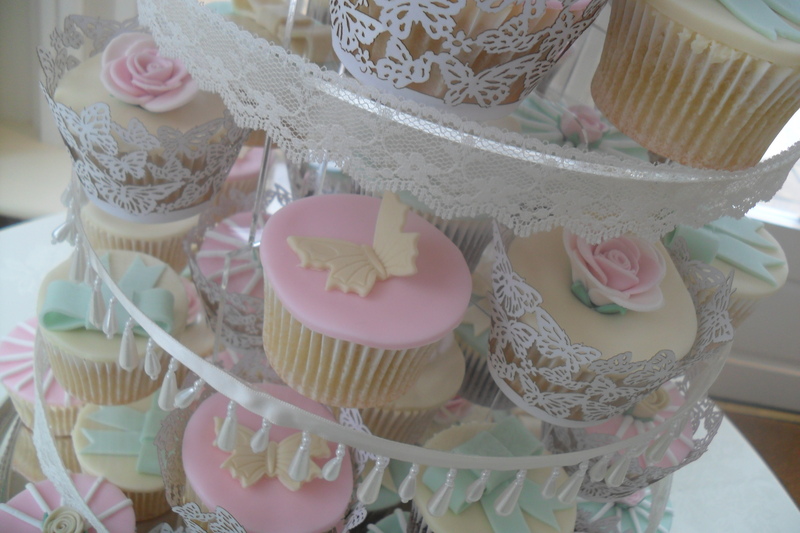 The cake was a tower of cupcakes which must have taken the bride’s friend ages, but it truly was stunning. If you ever want a knock out cake, I highly recommend her. As the drinks flowed, we all danced well into the night and I managed to brave it out and keep my new sparkly heels on all evening; the price we pay for fashion! The photographer went up in my estimations when I noticed she was wearing a Kookai shirt, much to her amazement. Kookai was always my favourite shop but sadly only exists as a concession in stores now. The clothes are timeless though and unusual. I still have stuff from there that I bought over 10 years ago. 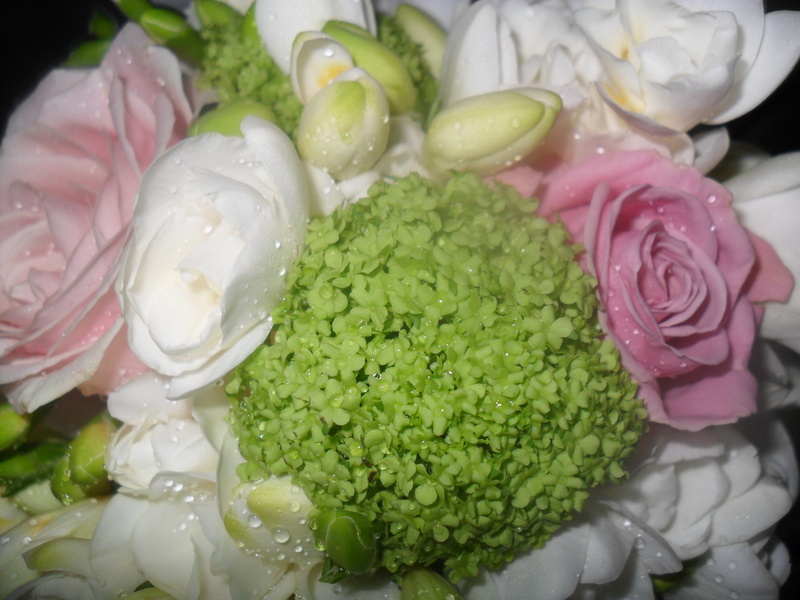 The bouquet was thrown but sadly I didn’t catch it. My other half did start to talk about marriage though as did another of my friends boyfriends. Not sure if the excitement of the day or the sheer amount of alcohol brings on this conversation though! Over a year of planning and the day seems to be over so quickly. Everything was perfect down to the last detail though. Here’s hoping the marriage will last forever and that the weather was a good sign! Congratulations to the happy couple! Enjoy the honeymoon and thank you for the privilege of making me maid of honour. Peddling between the travel urge and the maternal urge! This weekend my boyfriend and I decided to get all energetic and go for a bike ride around Riverside Country Park. I think my parents were pleased that it meant I took my bike with me finally; they have wanted it out of their shed forever. Mum and Dad thought once my brother and I had gone, they’d have more space but so far that space hasn’t really materialised, much to their disappointment! The ride was most enjoyable although my bum didn’t think so; I paid for it the rest of the weekend! It’s so nice to have such a lovely country space on your doorstep. The smell of seaweed is quite overpowering though. 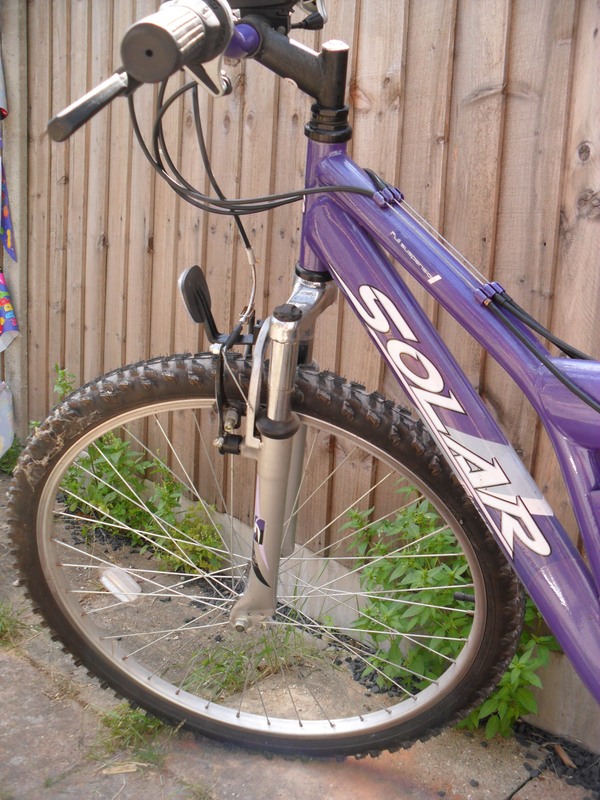 We followed one of the cycle routes but hope next time to do the longest one, now we are reacquainted with two wheels. It got me thinking though; is our life laid out like a cycle route or are we free to peddle off the beaten track? We went to a friend’s BBQ where three girls were mothers with young babies, one baby of which was my niece. They are all so gorgeous, I got all broody. Society seems to dictate that you should have kids in your 20’s but is this right for everyone? Yes the biological clock is ticking but are there other dreams we hold too? Is it better to be a younger or an older Mum? As I sat with some friends discussing holidays, I thought maybe there was more I wanted to see before becoming a Mum. 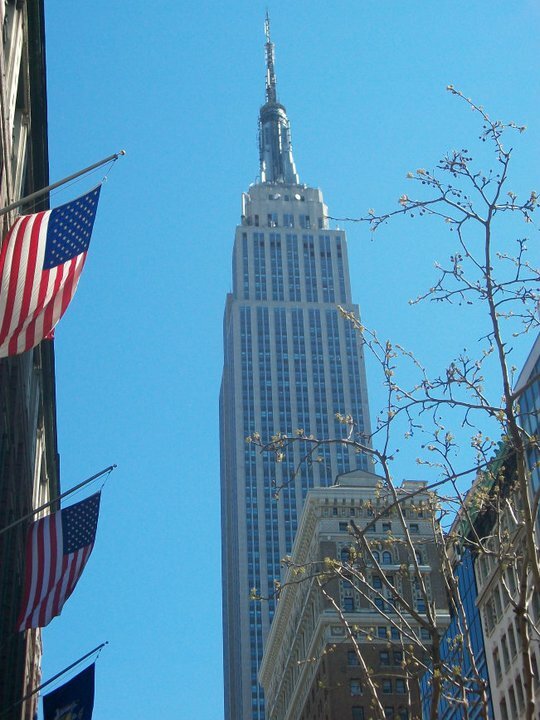 I’m definitely getting the urge to travel again, my New York holiday seems a million years ago despite it actually being only 4 months ago. My first ever holiday without parents was to Zante and I had such a wonderful time despite having a reaction to a henna tattoo, a rash caused by a horse and something in my eye! My friend was surprised by the first aid kit I brought with me but by the end of the holiday we had used it all between us! It has always been an in joke between my brother and me that I will manage to fall over on every holiday! After that I want on various beach holidays; some with friends and some as a couple as well as Dublin, Prague and New York, but the holiday that really opened my eyes to travel was the one I took to Morocco with two friends. 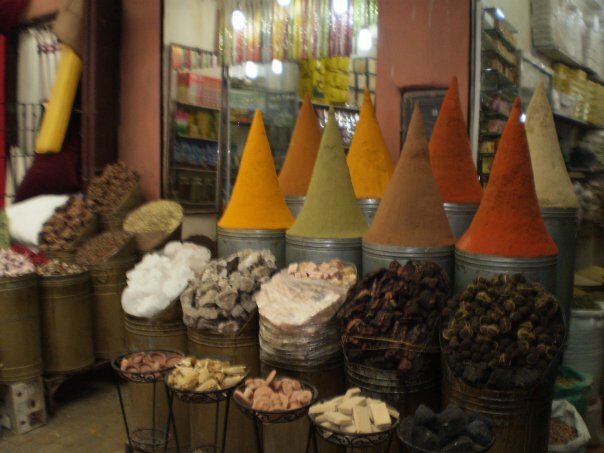 The souks of Marrakech have to be seen to be believed: health and safety is really not even a second thought out there. People weld in the street without masks and when walking down the narrow streets you have to dodge the crowds, motorbikes and donkeys! The people there are wonderful though and it really widened my outlook on life. 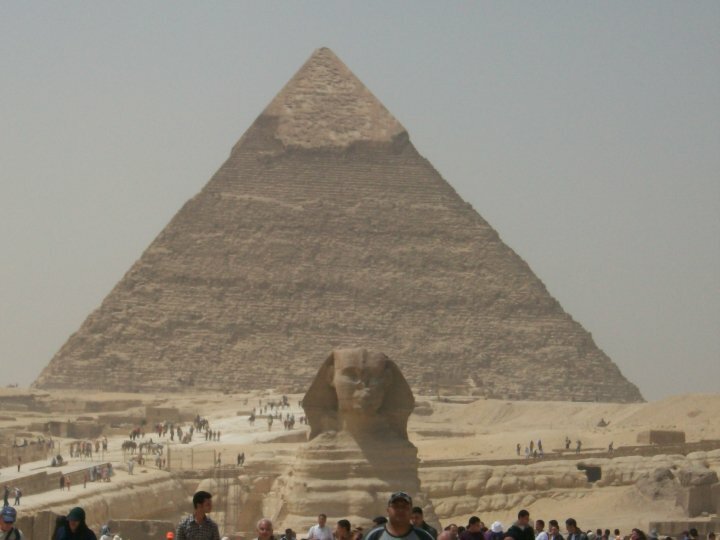 With my partner I then went to Egypt last year which was equally fulfilling; Cairo and the pyramids were out of this world. 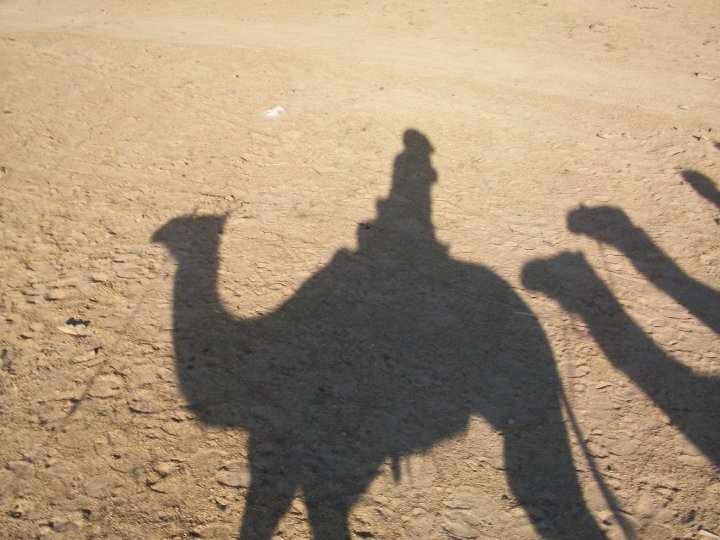 Camel rides were interesting in both these countries; they are about as comfortable as a bike saddle. Riding a quad bike through the dessert after using the shisha pipe was also an experience! but I’m craving visiting a completely different culture to our own. My friend has not long been back from Bali which I really fancy but my biggest dream is still India. At the BBQ we talked about a girls break to celebrate our 30th. Perhaps New York or perhaps Italy. One friend went to Verona this year and I must admit I would love to see Juliet’s house. I don’t think Italy would agree with my partner seeing as he doesn’t like cheese or pasta! Another idea I have had though is more responsible tourism which may also help me with my future career of a teacher and that is to go to Peru and volunteer in an orphanage. As close as I get to being a Mum at the moment is Rufus. 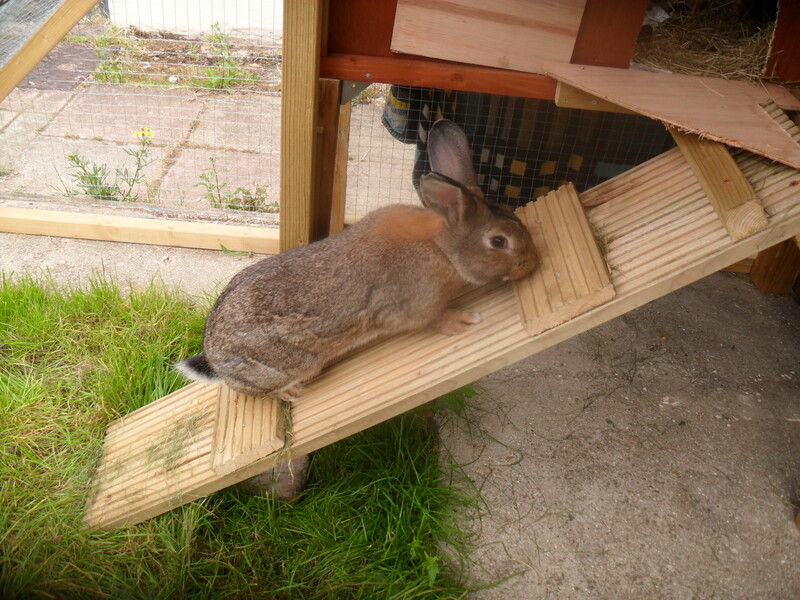 Rufus amazed us this week, mastering his ramp to go in and out between his run and his hutch. I then managed to get him to go in at night, just by telling him it was bedtime. I guess my sense of pride is similar to how parents feel when their child does something for the first time. I suppose when you are a child you are guided by your parents, much like the way your bike has stabilisers but then you are on your own, balancing on your own two wheels or stilettos as the case may be. I have constantly carved out my own path; ending up working and then doing a degree through Open University and only finally deciding on a career at nearly 28. I guess life is all about balance, just like riding a bike. Perhaps we all just envy what we don’t have; much like in a restaurant where you always want what someone else ordered! There’s some food for thought for my readers and I’m going to get back to my glass of vino!